Shed Roof FAQ – I get asked a lot of questions about building shed roofs and so I have pulled together a lot of these onto one page for you to browse. Hopefully, you can find an answer to your question in amongst these. Return to Shed Roof Questions. Hello, sorry to bother you on what might appear like a sales pitch. I like your site and in particular I like the balanced view you give on material alternatives. I agree in general you cant beat a nice cedar shingle or Rosemay clay tile but there are alternatives to roofing felt which appears to be becoming poorer in quality over the past few years. Please feel free to check out a couple of the roofs we have added to our website and if you would like to pull together a feature on EPDM rubber roofing then please feel free to contact me or use some of the information on our website. Again apologies for the sales pitch like question, but ultimately this offers your readers more choice. 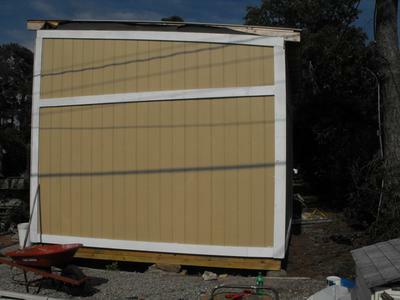 Hi John, bit of a sheddie me, so enjoy your articles, thanks.We have just completed my corner shed to fit a difficult spot and although it was a budget number, which took a lot of figuring out and bracing, it is pretty fine. It is located in my small courtyard garden and I would like to green the gently sloping roof. I have noted your advice and researched structural aspects for retro-fitting but the planting is a dilemma, very cold and exposed in winter and dry and exposed in summer. So to my question: Does anyone have any tried and tested green roofs they might like to share? photos or links to photos would be very welcome. 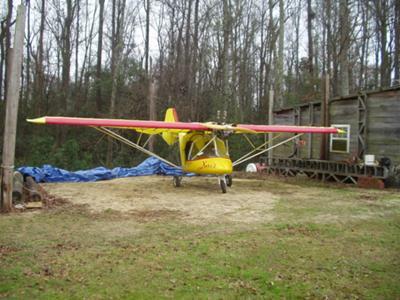 I need to put a roof on a pole structure which will protect my small aircraft from the elements. I would like info on how to size wide span truss that I can build myself out of metal or wood. The span is 34' and will have a tin roof. Pent style roof sloped front to back. I have recently discovered rot in the roof of the log cabin in our garden which is used as an office. I think the pitched roof is constructed with sterling board - well it is a large-chipped board. The boards are covered with a thin black membrane (which I was told was waterproof) and strips of self-sticking felt roofing shingles. The builder botched his work with the shingles and did not fix two overlapped layers on the bottom rows. He fixed only one layer and I have now found that the sterling board is rotting underneath the gaps in the shingle strips along the full length of both edges. Wood lice are under the shingles which are eating through the black membrane. The pitch of the roof is 24 degrees. I will be doing the repair work myself and need to keep costs down. 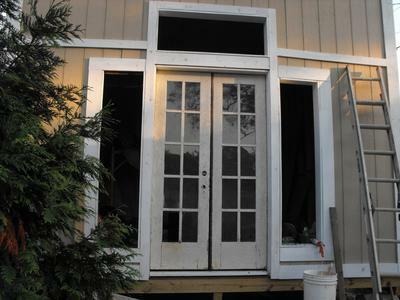 Depending on your advice, I will either replace the rotten areas with sterling board or replace all of the ten sterling boards (size 8' x 4' x 3/4'') on the pitched roof. Could you please advise on the best materials for this job. Should I use better quality 8 x 4 boards such as WPB external plywood or marine ply? I live in West Lothian Scotland. The winds here are extremely fierce with gusts up to and sometimes over 70 MPH. I wish to build a small workshop 8 X 12, with a gable roof. I have noticed that the large birds (crows/rooks) in this area tend to peck and rip up the felt roofs on my neighbours' sheds! Could you please advise the best type of roof covering in these circumstances? Hi John, I have recently bought a Canadian canoe 16' long thinking that I'll store it in my garage, but when I got home totally forgot that I have an up and over door (much to her amusement) so after looking for a suitable shed everywhere I came across this gambrel shed design which looked great and would allow me to store the canoe in the loft space. But I could not find any in the UK which are at least 17'x 11' some local builders said they could build it for £2580 which was a bit rich for me, I have in my possession 6'x6"x6" reclaimed timbers and thought of having a go myself, but where do I start? 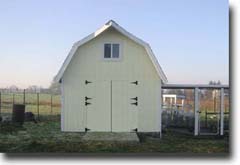 Are there plans of these sheds available anywhere? Hope you can help. Hi there, I am in the process of building a rather modest 20ftx10ft shed from old pallets, its going really well but I'm a little stuck on the woodburner. What do I need to do to install one safely? I have a recycled propane gas bottle that has already been made into a wood burner and 15ft of 4" galvanised steel tubing coming my way to be used as the flue. The roof of the shed is going to be covered with EPDM rubber instead of felt as I want it to last longer. My concern is the passing of the flue through the roof. I've seen these rubber flue collars and figured that would probably be enough to protect against the heat of the flue but wondered on what else I should use. The wood burner is to be set on a 1.5m square by 2.5" thick yorkstone slab and surrounded at base level with fire retardent ply so that should hopefully be more than good enough... just the roof exit is what i'm worried about, so any advice would be greatly appreciated. Hi John. Our 1950s ex-council house has sheds in the back garden that have a reinforced-concrete flat & horizontal roof and it badly leaks. What would be the best way for an amateur to reproof it? One problem is that whilst the roof overlaps the brick verticals all around, the concrete is impossible to nail or drill into. Thanks for your question. This is a fairly common situation. I have seen a few of the type of roofs that you are talking about and you are right they are very level. If they had a bit of a greater fall they would be simpler to waterproof by painting on some concrete waterproofing type paint. However, the roofs are so level that water does pond on them and finds the smallest crack or imperfection to leak through and make the whole of the slab (and inside of the shed damp). To do this you will need masonry bits and a hammer drill. The idea is to drill into the slab and fix down a couple of 6x2 timbers to the roof surface. Fix these timber a bit back from the edge using 8mm diameter resin anchors. Use resin anchors rather than expanding anchors as with the expanding anchors there is a risk that you can spall off a section of the edge concrete when you are drilling and fixing close to the edge of the roof slab. The timbers that you have fixed to the roof will form the basis for forming a new roof over the leaking concrete slab. 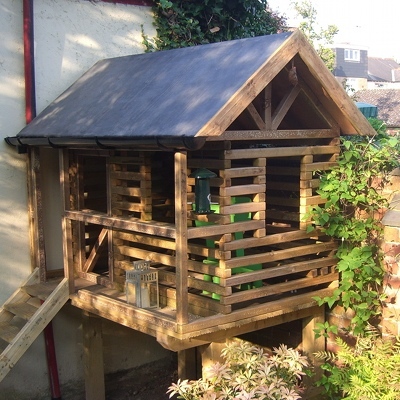 To form the roof deck use 4x2 or 3x2 timbers depending on the span. Space these new timbers at 400mm centres and screw them down to the timbers that you fixed to the slab. A roof deck of 12mm exterior grade OSB (Oriented Strand Board) is then fixed to these new rafters. The simplest would be to use an EPDM Rubber roofing membrane. You will most likely be able to get this in a size that will cover the whole roof without any seams (that could potentially leak. If you get a bit more ambitious then you could convert this into a green shed roof which could have more benefits for your garden. Other alternatives would be traditional shed felt (though this has a fairly short lifespan), metal or plastic corrugated sheeting. Onduline roofing is also a common choice for over-roofing systems. 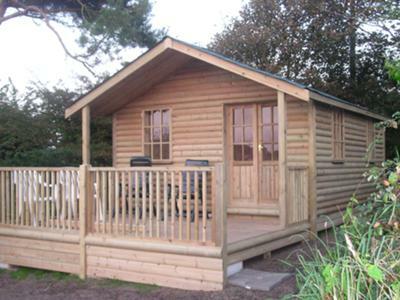 You will be changing the height of your shed and so you should check the local planning laws in relation to the height of shed and how close you are to the boundary. Just because you are improving the condition of your shed does not mean that you can ignore these rules. Let me know how you get on and of course, any follow-up questions that you have. Hi John, Firstly, Great site! I am building a shed extension for my summer house to keep all the dirty garden equipment. My extension is a 1.2m wide by 2m deep with a sloping roof. I'm trying to mirror the existing roof so it blends. Question is, what materials should I use for the roof? 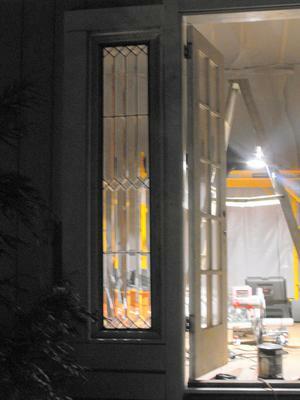 The summer house came with long tongue and groove lightweight planks but I'm having problems finding similar material at a reasonable price. I don't want to over-spec the material but it should be flat so I can staple-gun the tarmac tiles to it. Solid wood is getting more and more expensive so you might want to consider using plywood or OSB (Oriented Strand Board). Make sure that you buy a grade that is suitable for external use. With plywood it is normally called classified as WBP (Water and Boil Proof) in the US it will have the letter X in its classification (suitable for external use). Either way, explain to your supplier what you intend to use it for and he will see you right. OSB does look a bit like that very cheap chipboard material, but it is a structural product and is made using waterproof glue and so will not delaminate in a small bit of water. Though it should not really be exposed to the elements. Quite often you will find that OSB is about half the price of plywood, so there is quite a saving there. For uses such as shed roofs, you can quite comfortably use the 1/2" (12mm) material an have your rafters at 16" (400mm) spacing. I hope this helps, let me know how you get on with your project. I built a 14x14' lean-to type shed. I had a man put the metal roof on it because I was having seizures at that time and didn't want to climb. He extended the ends 1 and a half inches over each end but attached the side panels flush with the sides without the siding attached. 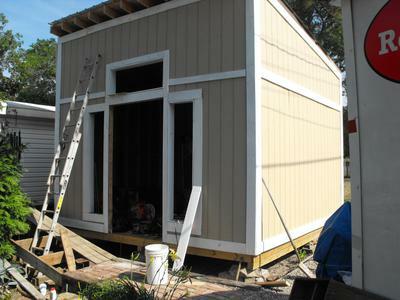 Since then OSB and siding have been added and both are exposed up at the top and it won't be long after one tropical storm and future bad weather that that OSB and siding will start to disintegrate. I'm going to remove the metal panels and add 1x4's on the top of the straps to extend the sides 1 ft. on each side and reattach the metal. I've wracked my brain what to do and this seems to be the only reasonable solution to do it where the extensions are supported and secure.